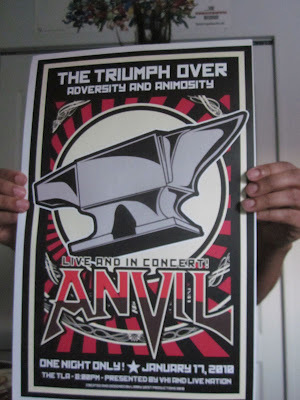 I’m selling a few prints of my tour posters on eBay right now, and the auctions end next Sunday, January 16th. Each print is a measly $25, and each one is on 80lbs vellum paper stock and looks GREAT! Not only that, but you can also help out a worthy charity! I had these leftover when I did my initial batch for each band and had a special set for my friends and the band. 10% of all the profits will go to The Comic Book Legal Defense Fund! Yes, the CBLDF! The First Amendment Right group for Comic Book artists and cartoonists! 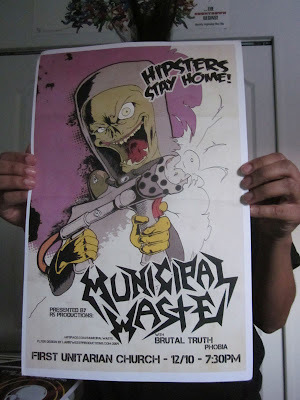 Up for auction are my Gig Posters for Obituary, Between the Buried and Me, Devin Townsend, Anvil, and Municipal Waste! So go to eBay and BID BID BID!!!! Just click on an image to see the listing, or click here for a full list! 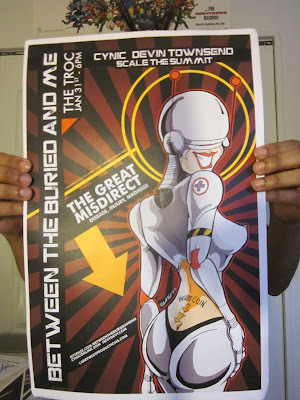 This entry was posted in Anvil, Between the Buried and Me, CBLDF, Charity, Devin Townsend, Gig Poster, Municipal Waste, Obituary, Tour Posters. Bookmark the permalink. ← Why Can’t We Have More First Amendment Remedies?